NoLimitDronez now has an affiliate system to allow regular users the chance to earn some cash simply by spreading the word about our software and what we do around the web. This will be done using what is known as affiliate links. These are little additions to the standard "www.nolimitdronez.com" URL which include a special section at the end which ties all purchases made from this special URL to you. For each purchase made with your special URL, at the end of every month, NLD will send you $3 per purchase. With our current license cost of $34.99 this is almost 10% which is above rates other sites such as Amazon pay for affiliation links. Why Would We Give Away Money? There’s no substitute to a proper recommendation by someone that’s used the particular service you’re interested in. 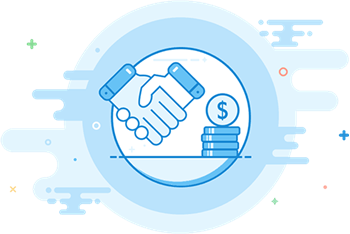 Affiliate links will give prospective buyers some reassurance that what we do is real and works, gives you a small kickback for each sale and NLD can donate more money to the drone hacking community. Definitely a Win Win situation. To put it simply, by becoming an affiliate you are directly helping us collecting money to fund the OGs research and the drone hacking scenes future development. How Are Our Funds Used? NoLimitDronez is a proper company registered in the Marshall Islands under the name NO LIMIT TECHNOLOGY Ltd.
Because of this we have overheads like any other business, staff to pay for and hardware costs. But the VAST majority of our cash goes back to the drone hacking community. On the eve of the Mavic Pro 2 release for example, NLD created a community fund of $10,000 USD for the amazing guys in this field to purchase these drones along with any related hardware or software they need to aid in their hacking attempts. This will of course filter back directly into NLD and down to you as our customers when we can add support for new drones and new hacks. We have also purchased several Mavic Air's on their release and other hardware needed for OG's to hack these drones for you. Under the "Help Topic" field, select "Affiliate Registration"
Fill out the WHOLE form. Yes, everything is required. We will then look at your ticket and get in touch to confirm your affiliate URL is active and other information.